With freezing temperatures right around the corner, it’s time warm up with a hot toddy and a crackling fire. If you live in New York or you’re just visiting this season, stop in and grab a drink and a meal at one of these cozy spots—cable knit sweater not included. 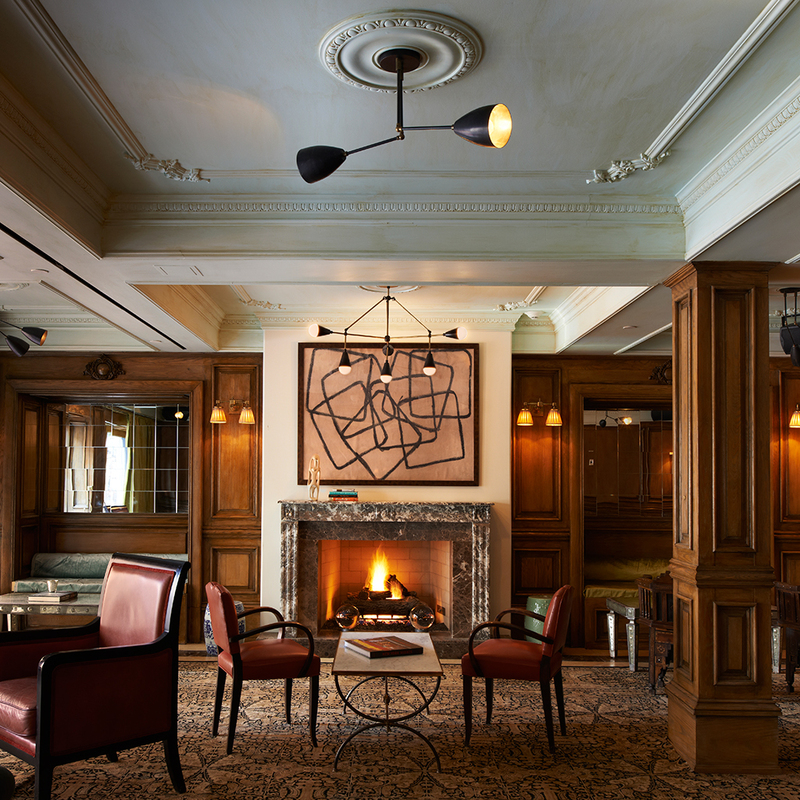 The warm, plush and relatively ornate Lobby Bar welcomes you with well-worn furniture like leather chairs, grand velvet sofas, hardwood floors and Turkish Oushak rugs. 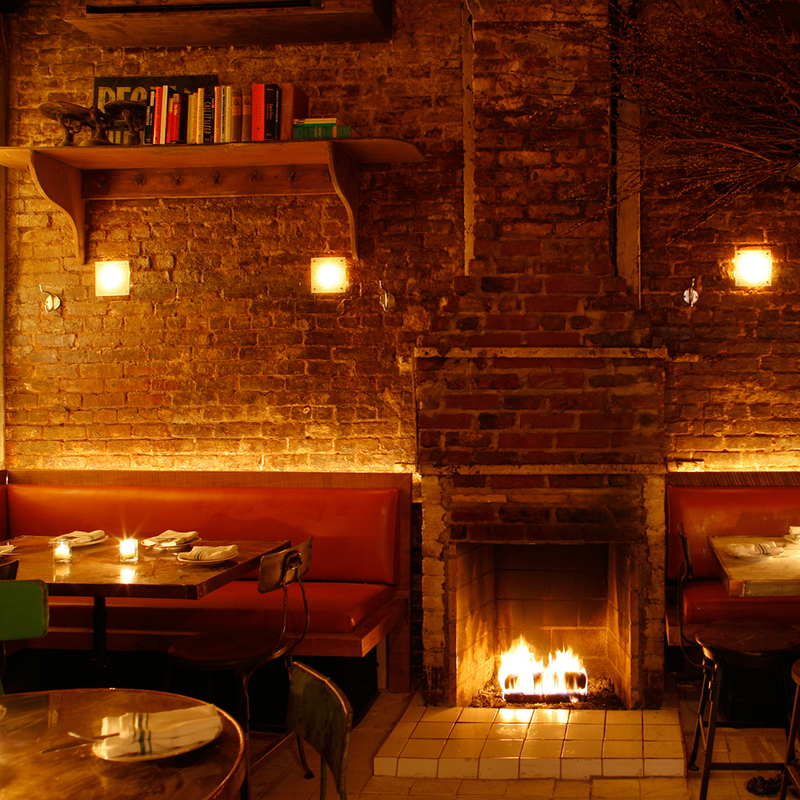 A large, can’t-miss fireplace blazes as you order your favorite hot toddy or mulled cider and curl up with an epic book like Garth Risk Hallberg’s 1970’s tale, City On Fire. 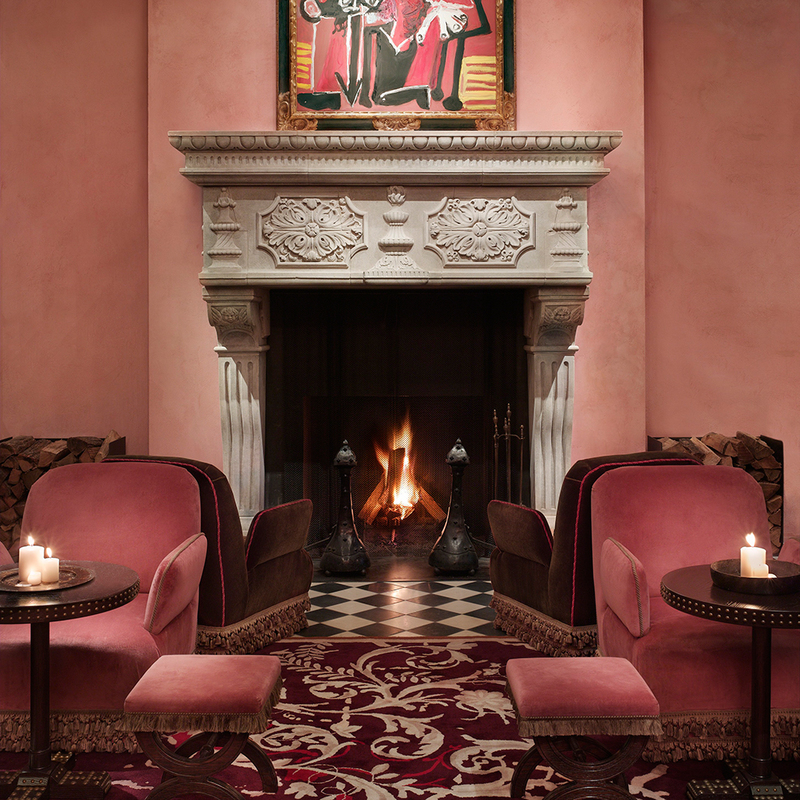 What smells like the soft cedar and piñon rise off the wooden logs inside Gramercy Park Hotel’s dramatic Rose Bar. With a warm yellow-meets-rose hue, the room (designed by artist and film director Julian Schnabel) is peppered with bold and a solid walnut bar. Order a bourbon (neat) and admire the hand-carved limestone. Directions to the fireplace? Head straight for the back room of this 19th century Tribeca tavern serving small, hearty plates and proper cocktails like the King Henrik made with Michter’s Rye, Kronan Punsch, fresh lemon, egg white and cherry bitters. With classic New York touches like pressed tin ceilings, it doesn’t get much cozier. 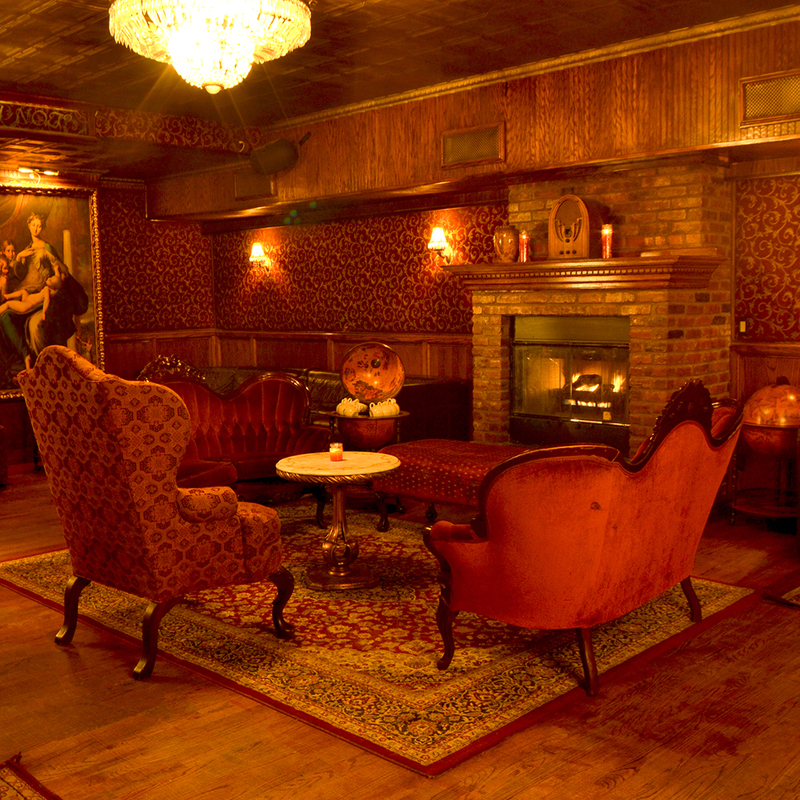 Amid the 1920s décor, this Lower East Side speakeasy-esque bar is perfect for a roaring fireside chat, complete with the aesthetics—tin ceilings and splendid chandeliers. 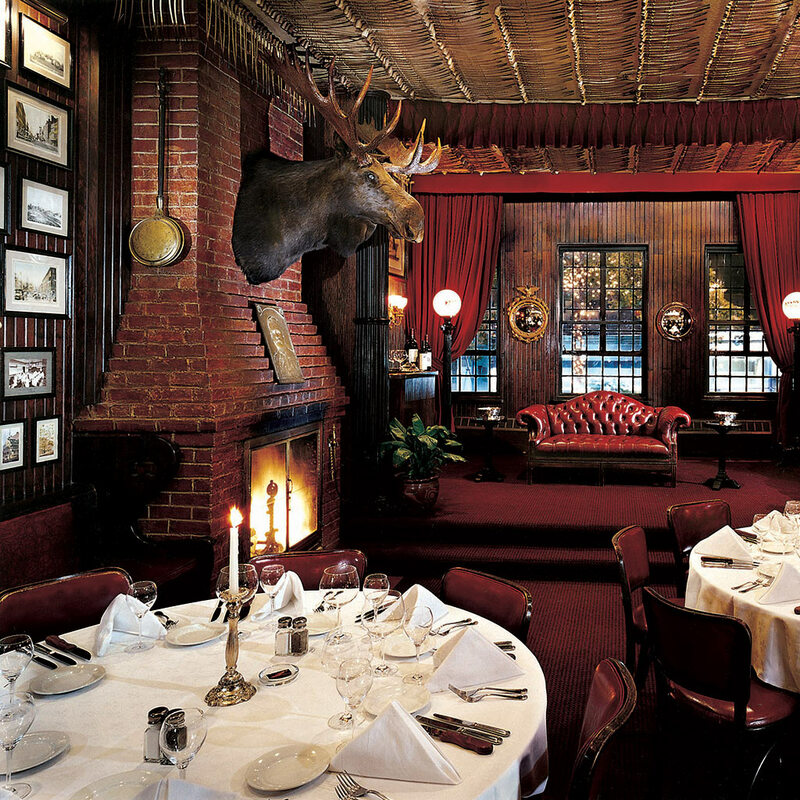 Established in 1885, this moody, old-school New York City steakhouse boasts a warm fireplace, flanked by taxidermy inside the Bull Moose Room, aptly named after President Theodore Roosevelt. Soak in some American history, order an Irish coffee and cozy up for some dedicated storytime. It gets no more intimate than the NoMad’s small Fireplace Room (with only six tables), soaring ceilings and a Persian rug strewn across a stone floor. Order the Mott & Mulberry using rye whiskey, luxardo amaro abano, apple cider and lemon. The focal point? A spectacular marble clad mantel and fireplace filled with candles inside a baroque, imported hearth that was once inside a great French chateau. The “Safari Room” of this 1924 institution is perfect for a fireplace booth and the lean, grass fed hamburger with red wine caramelized onions on a brioche bun and salty, crispy frites. 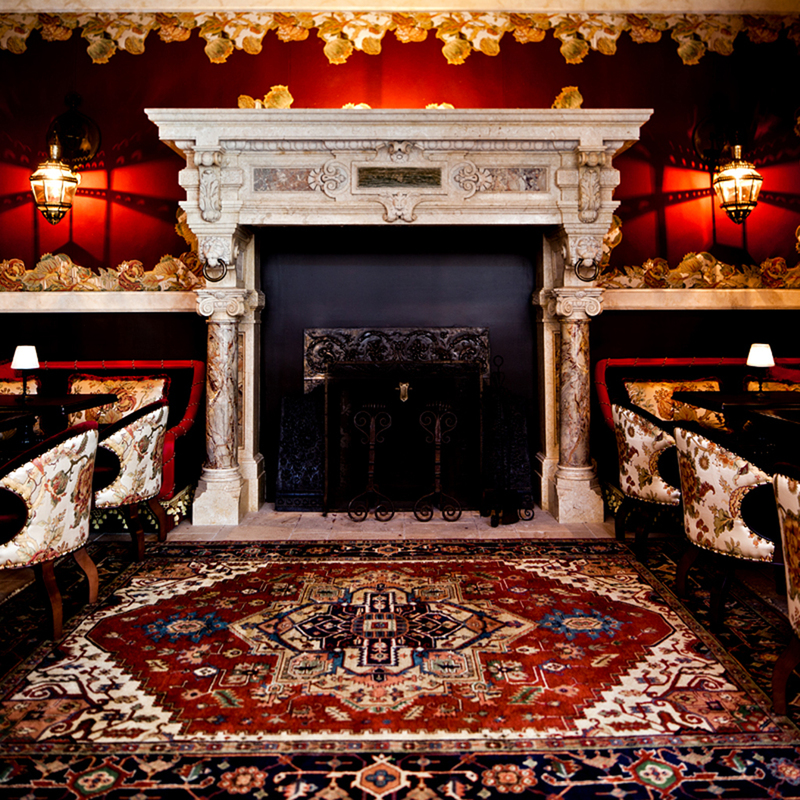 Afterwards, saunter to the front bar for a nightcap, and the second fireplace for the full toasty experience. 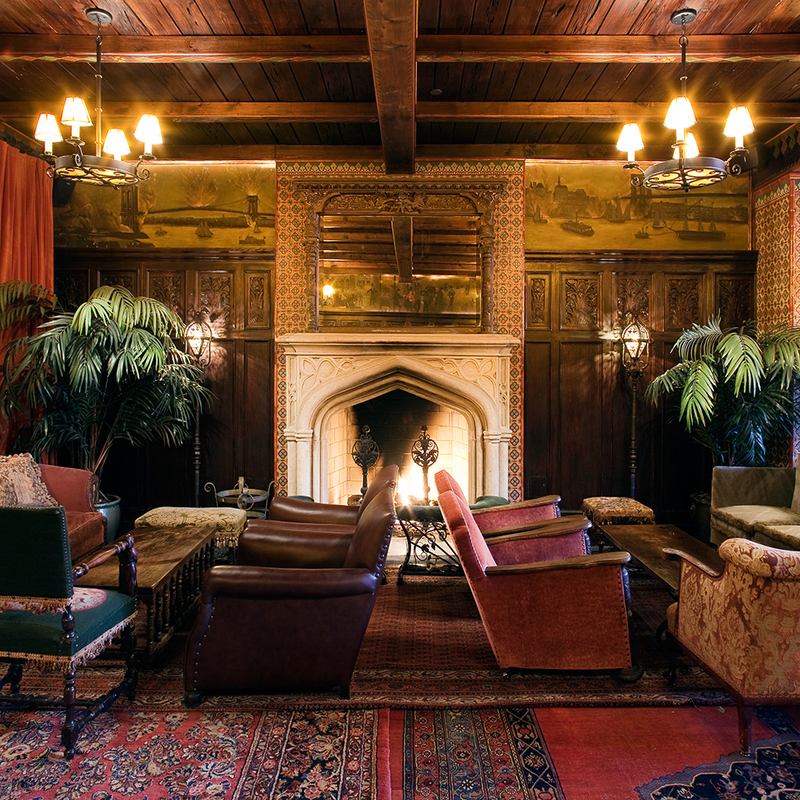 A place for locals and guests alike, the low-key lobby of the hip boutique The Marlton (where Jack Kerouac penned the Subterraneans) has a classic vibe enhanced by plush sofas and wood-paneled walls. 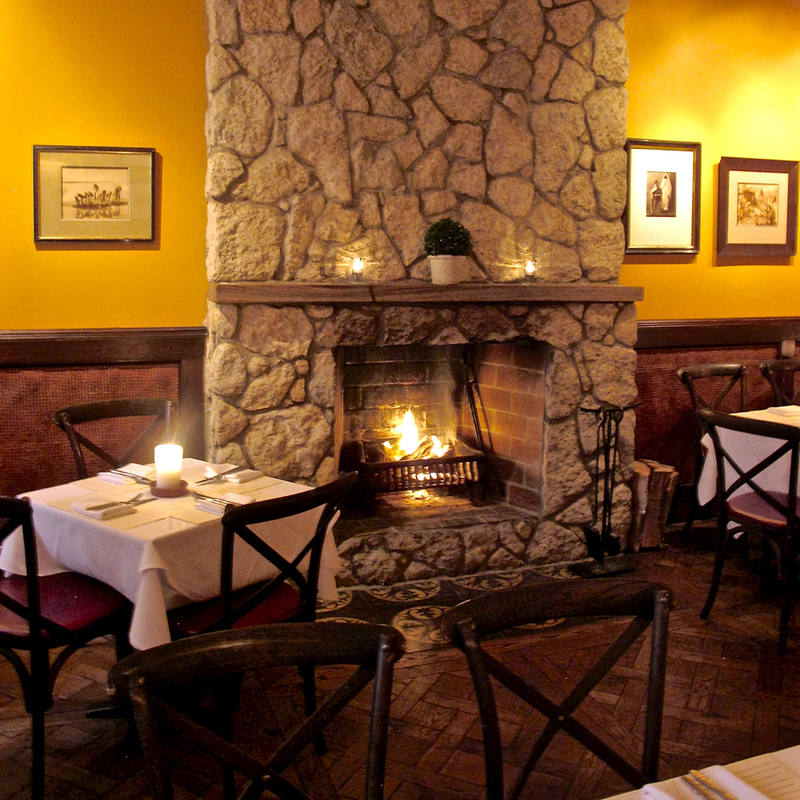 It is seemingly always open for those who crave a fireside glass of red wine or a raw almond cappuccino compliments of LA roaster Ferndell. 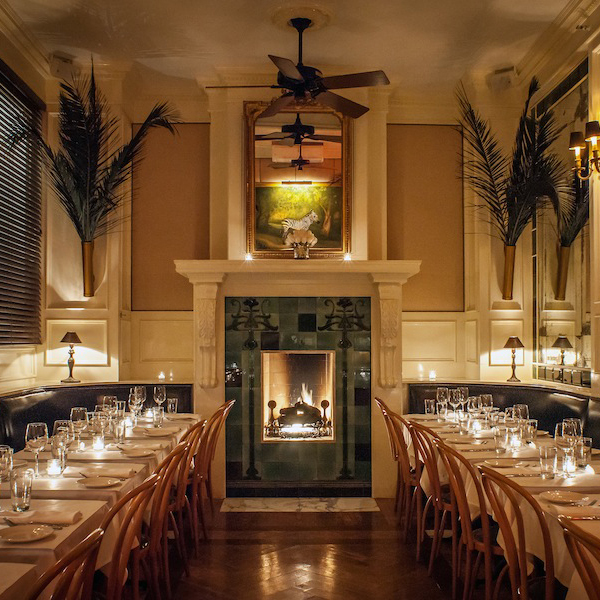 The romantic ambiance takes precedence at this bi-level West Village restaurant. Nab a seat downstairs, close to the wood-burning fireplace and snack on small bites like fried goat cheese with lavender honey or bacon-wrapped dates and butternut squash foam and wash it down with a chilled, slightly sweet Lambrusco. The charm runs deep at The House. 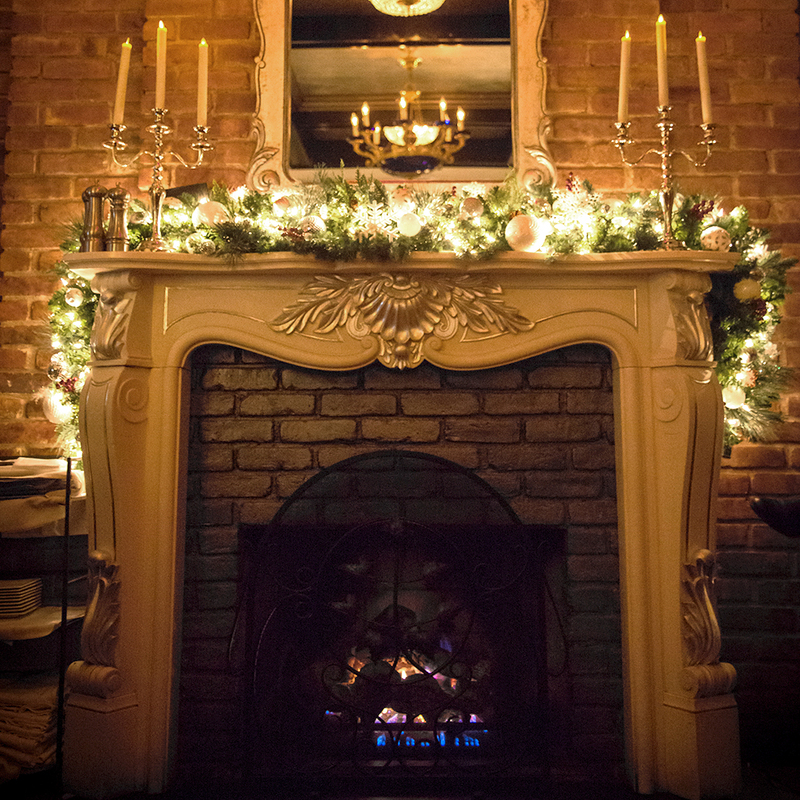 The romantic Gramercy Park restaurant was once a cozy carriage house and its crown jewel is a lovely wine bar with a toasty fireplace. We find this a perfect place to relax and nurse a glass of red wine or sip the House Hemingway comprised of dark rum, blood orange juice, fresh lime and bitters. In Chelsea, the dimly lit rear room of this tapas restaurant houses a lovely gas fireplace flanked by Spanish limestone and a skylight, which doubles as a retractable roof. Stick with the basics: order the grilled bread with garlic, tomatoes and olive oil, sip a light-bodied Spanish wine and bask in the glow.